When we said let’s get f******* working, we meant it. 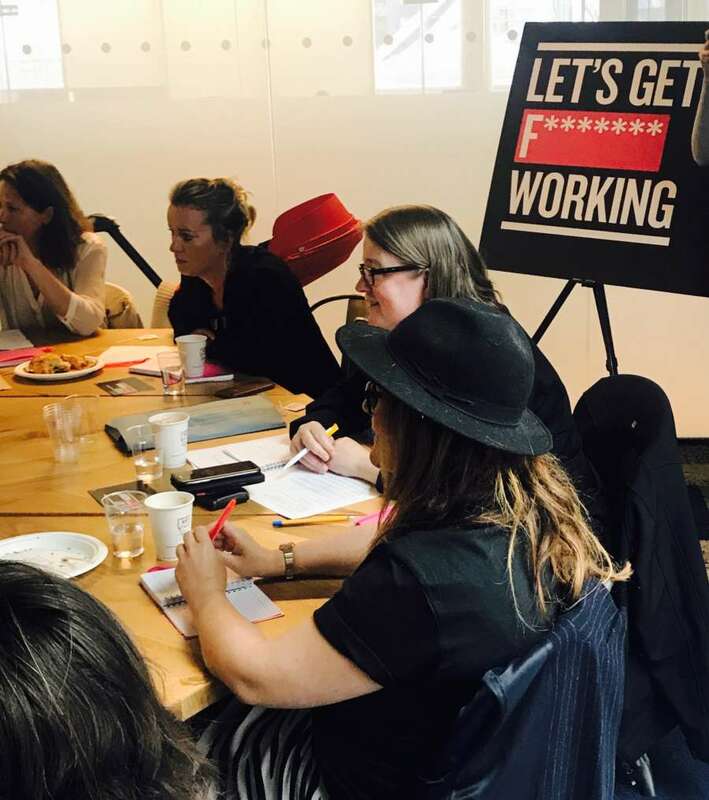 As part of our #WorkThatWorks Week we held a round table at WeWork Moorgate with the ‘who’s who’ of flexible working to discuss all things F-Word. Chaired by Sue Coe, head of employment and policy at the Equality and Human Rights Commission (EHRC) and hosted by our very own co-fo, Kathryn Tyler, joining us at our hexagon table were Ben Wilmott, Head of Policy, CIPD; Anna Whitehouse, founder of Mother Pukka and #Flexappeal campaign; Gill Dix, Head of Policy, ACAS; Amy Bryson, Managing Partner, Iris Worldwide and Lou Stubbings, Creative Director, Clear Channel. Zero mention of the fact it’s work that works for employers too. So over 90 minutes, our leaders in flex discussed what we need to change about the current definition and the mindset it invokes. Two thirds (65%) of employees say they would be more productive if they could work flexibly and almost three quarters said they would be more loyal to a business. Significantly, 75% of 18-24 year olds currently not working said they are more likely to apply for a job offering flexible hours over the traditional ‘9-5’. So why no mention of businesses in the current definition of flex? 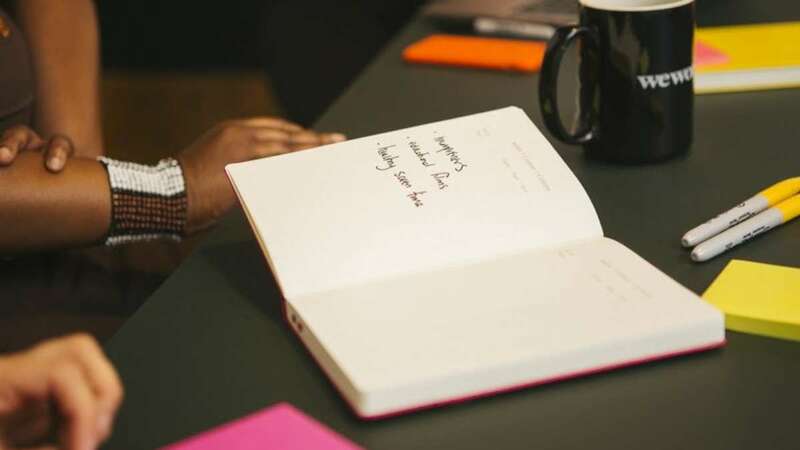 According to the CIPD’s Ben Willmott: “97% of businesses say they provide flex but in reality, the type of flex they offer is usually quite exclusive - i.e. part time. And that’s often associated with career death.” ACAS’ Gill Dix agreed calling it ‘’the Great British cover-up’ where people suffer the career consequences of part-time working but actually work full time hours as the job expectations remain the same. Greater visibility for the different types of flexible options available is needed so that businesses and employers stop viewing ‘five days in four’ as the only flexible working solution. As the fab Anna Whitehouse (AKA Mother Pukka) put it: “We need really inclusive language that draws people in. The tone needs changing from ‘get on board’ to ‘this is what worked at company X.’ We need positive case studies of businesses that have made flex work. Big, small, creative, education sectors - businesses need to relate to peers who have made flexible working work for them. According to EHRC’s Pregnancy and Women research stats, out of over two thirds of mums who formally request flex, 75% are granted it without a problem. BUT - and it’s a big but - over half of those women reported negative consequences as a direct consequence of having flex granted. This needs to change. This was a quote from Lou Stubbings and a good one to end on. Lou said that she wouldn’t be working if it wasn’t for flex. A familiar story for a huge number of our students whose talents have been missed out on because of a lack of flexible working opportunities. And one backed up by our original #WorkThatWorks research which found 7 in 10 stay-at-home mums would go back to work in some capacity if flexible working was an option. 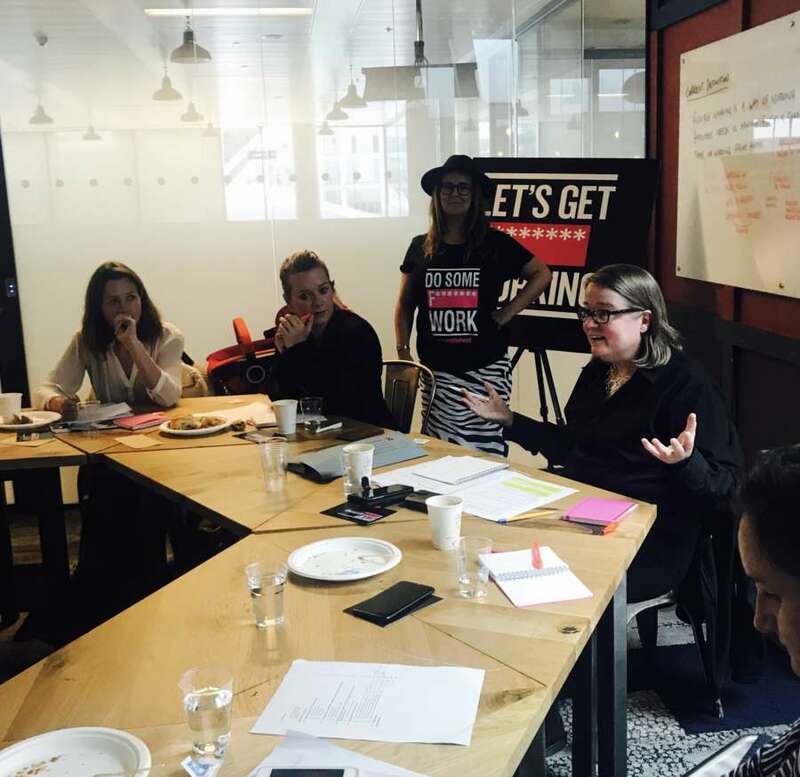 So from this meeting of f******* minds, here’s the new definition of flexible working we’ve put forward to government in our quest to #CleanUpTheFWord. Let’s hope they hear the thousands of you who have signed our petition and the thousands more who want flexible working but are too afraid to say the F-Word. Flexible working (or agile working as it is also called) is a working arrangement which allows flexibility on how long, where, when and at what times employees work. It can include working pattern (for example, part-time, flexitime or compressed hours); working location (such as working from home); or working arrangement (for example, job share). The benefits for employers can include improved staff retention and increased productivity, and for employees, a greater balance with commitments outside of work.